Blue Microphones is known for the Blue Yeti, the popular mic used by many content creators. It’s a sturdy audio equipment featuring 16-bit sound (base model) and three 14mm condenser capsules, allowing for different recording patterns like cardioid and omnidirectional. 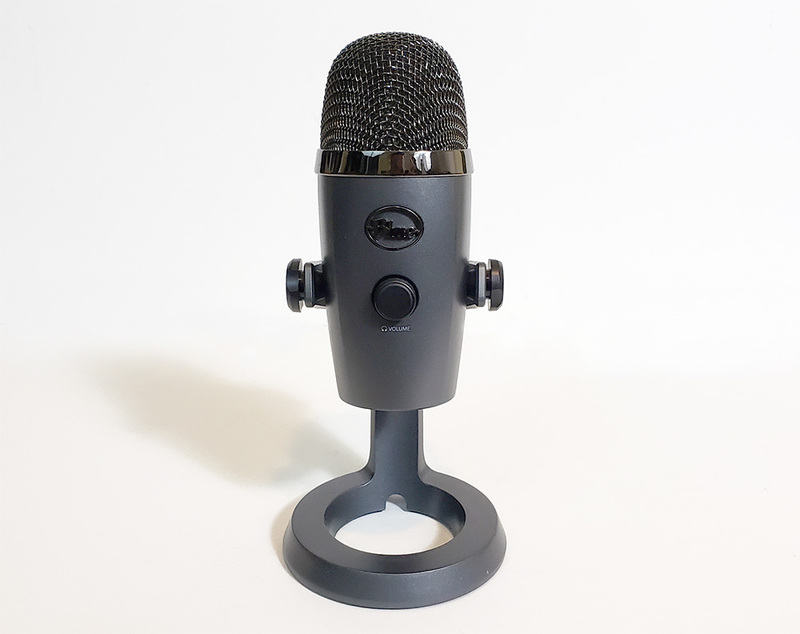 The microphone company released a younger sibling called Blue Yeti Nano, an alternative premium USB microphone made for podcasting, YouTubers, Twitch users, and voiceover work. With a smaller frame, it retains the core features including omnidirectional and cardioid patterns while still delivering on quality recording. 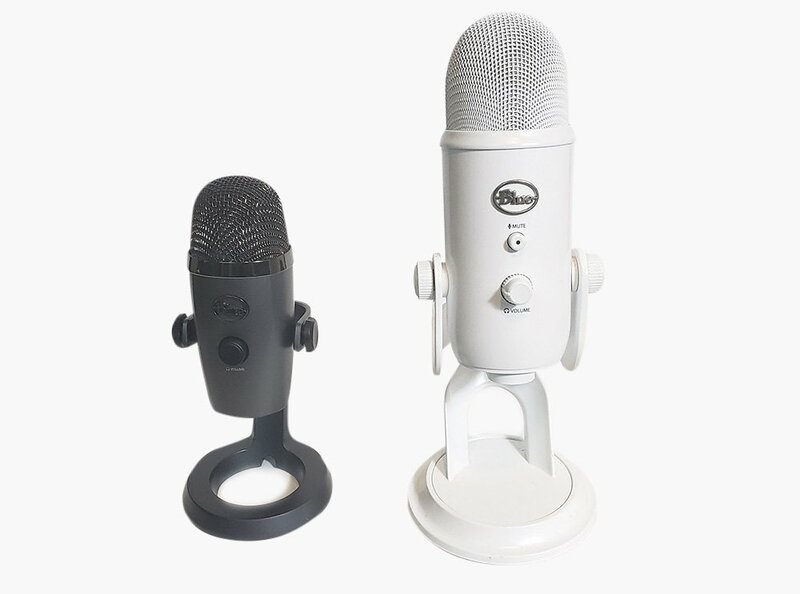 The Blue Yeti Nano is a smaller version of the Blue Yeti and comes at a cheaper price of $99.99 instead of the Yeti’s $129.99. You can choose between four different colors including dark grey, blue, gold or purple. The silhouette is sleeker and slightly angular compared to the bulky and cylindrical Blue Yeti. With its smaller size, it’s very easy to carry around, and it uses the micro USB with smaller cord compared to the mini USB found in the Yeti. Holding the mic is the Compass boom arm, but if you want to take it a step further, you can get the Radius III shockmount and attach it to the stand thread to move the Yeti Nano closer to your mouth. The microphone is very easy to use. All you have to do is plug the micro USB to a Mac or PC and the other end to the mic, and it will automatically connect. We had no issues when plugging it and having the PC identify it. And the sample rates can go up to 24-bit/48kHz. The Blue Yeti Nano comes with a volume dial where you can control the volume if you’ve connected a pair of headphones. To mute the mic, simply press the volume dial. The button on the backside switches between cardioid and omnidirectional patterns. The regular Yeto has four patterns including stereo and bidirectional. But if your main reason to record is through streaming, voice-overs or podcasting, then it’s really not necessary to have the stereo or bidirectional pattern since they’re made for music and a two-person interview, respectively. However, if you want to do a podcast with two people, the Blue Yeti would be optimal with its bidirectional setting. But there is a workaround to this where you can have your co-host sit next to you with the microphone being placed in the center. Even though you can use the omnidirectional to capture sound around you, we wouldn’t recommend using this for podcasts. We do suggest using this pattern for capturing concerts, events, and anything else that requires recording your surroundings. There’s no gain dial on the Blue Yeti Nano, so the recorded audio that was captured sounded really low by default in our audio program. But you can fix that by messing with the settings in post-production. Some might find it a minor inconvenience since having a gain dial in the Blue Yeti helps get rid of an extra step, but you usually should leave the gain level low by default, so it’s not really a big deal. With that said, the audio quality is clear and crisp, and dialogue captured is very audible. 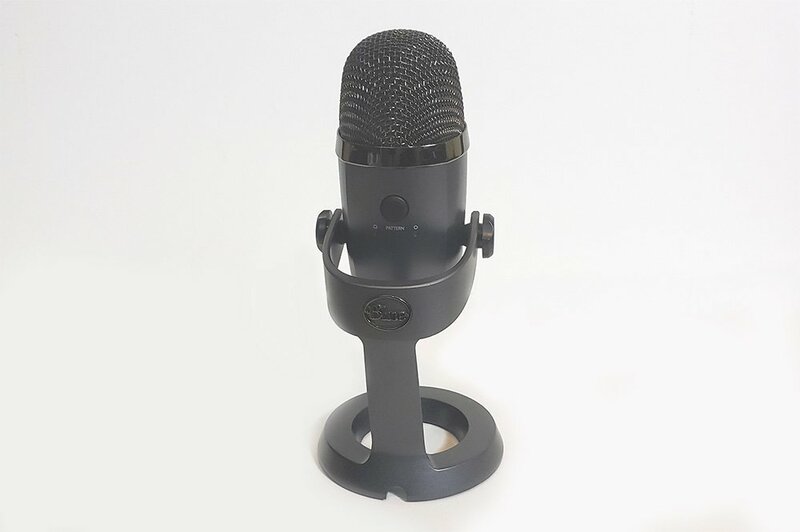 Blue Microphone has released a worthy younger sibling to the Blue Yeti with the Blue Yeti Nano. It’s perfect for those who are just focusing on just the essentials of streaming, Youtubing, and podcasting and want a lower price point with a smaller frame. And even with the smaller frame, the sound is very clear and crisp. The Blue Yeti Nano is available now at retailers. A sample was provided by Blue for review purposes.